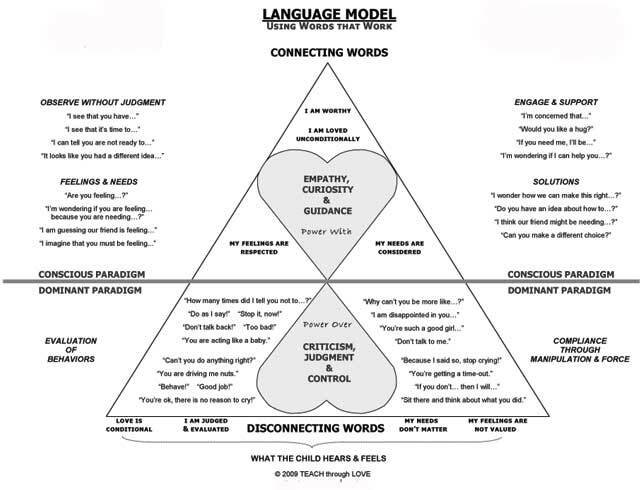 Language Model - Using Words that Work! Looking for a better way to communicate? A new language model? Most people unconsciously communicate in ways that make respectful, cooperative relationships difficult. This has contributed to a tremendous amount of pain and dysfunction in families. And, it may be contributing to the level of cooperation you feel from your kids. Does your toddler tune you out? Do your kids ignore your requests? Tired of talking to the wall? My goal is to show you how to stop arguing with your kids and start communicating in ways that meet your needs! Removing blame, shame, judgment, and guilt takes a perspective shift. 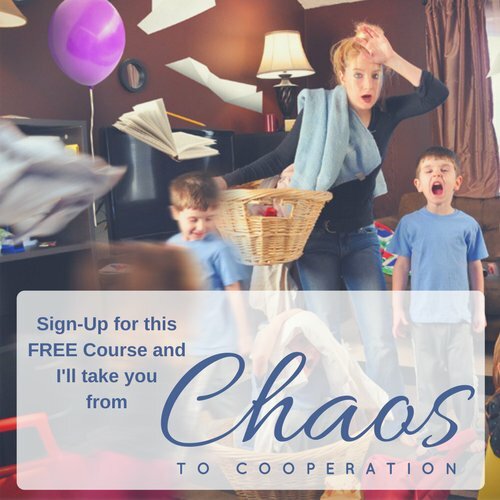 Moving from control to cooperation takes a willingness to create stronger relationships with your kids rather than relying on demands and punitive consequences which only serves to ensure that they eventually STOP listening to you or become passive (and likely to express their anger in hidden ways). 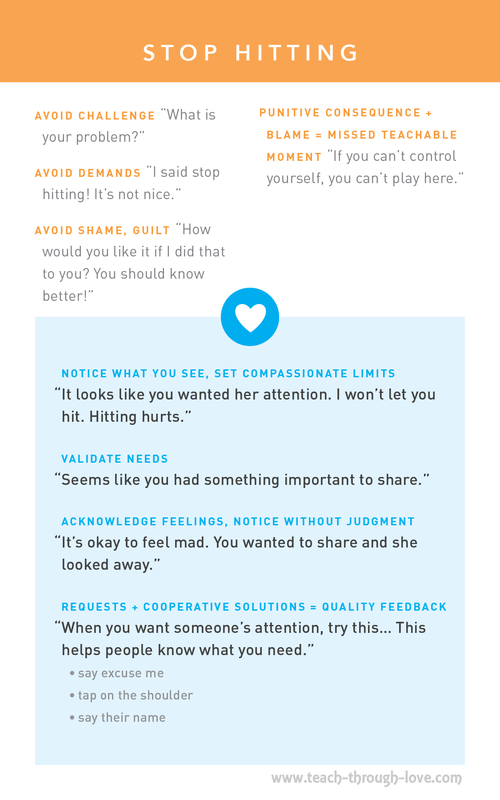 Using Words That Work provides a framework for loving, connected speech and facilitates heart-felt and respectful communication. It is a way for you to be seen and heard and for your child to feel seen and heard. This framework supports creating a culture of kindness where values such as honesty, compassion, and tolerance lead to respectful interactions. Studies show that by modeling empathy and problem-solving children will learn better, have an easier time with peers, and have an overall higher chance of personal success. Empathy shows us how to access our humanity. It links us emotionally with another - THIS is the path to peace and cooperation in your family!